Featuring all-brass construction, a funky red/gray finish, and nickel-glazed legs, Kern Jointed Technical Compasses are quality crafted in Italy. 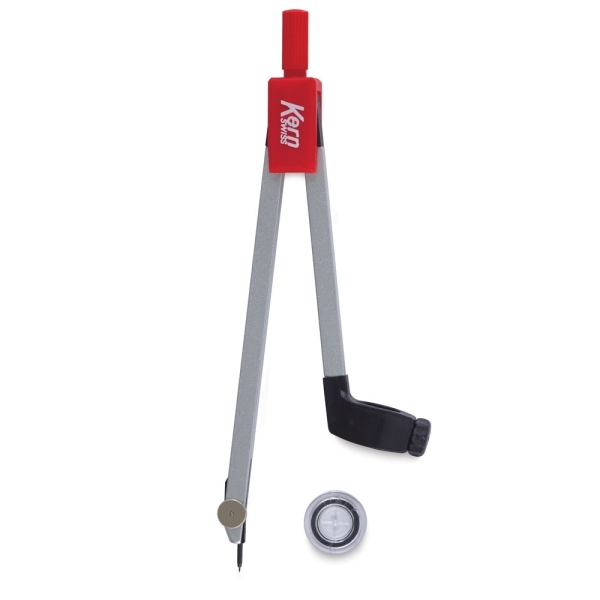 The base model features an integrated pencil holder while the compass with needle includes a universal adapter. Compass legs are 6-1/2"long (17 cm). ® Kern is a registered trademark.